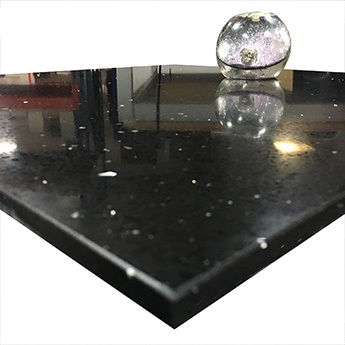 Black quartz has a sparkly appearance created by reflective mirror pieces which cover the surface of this wall and floor option. 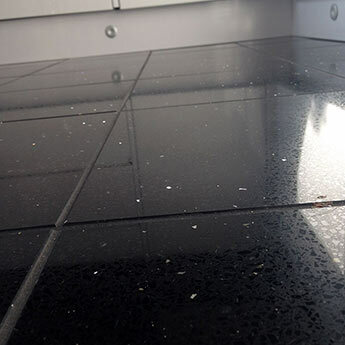 A polished finish provides a sleek look and also makes the Midnight Black easy to clean in bathrooms and kitchens. 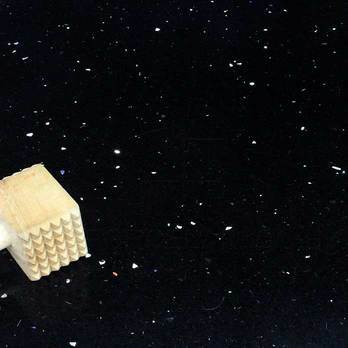 Used primarily within modern designs, they work effectively when combined with a light coloured grout for a stylish contrast. 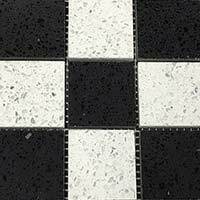 They are regularly matched with white quartz, producing a timeless interior design. 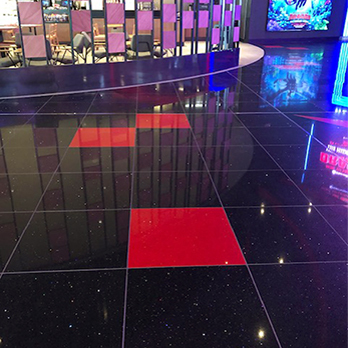 These premium tiles have a 97% quartz content and are manufactured through an innovative technological process. 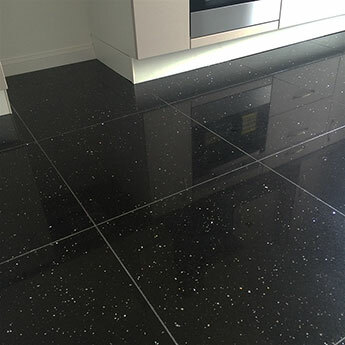 If you are looking to create a modern style within your home then black quartz is the perfect option. The combination of a standout appearance and high level of practicality makes it a great choice for contemporary layouts. 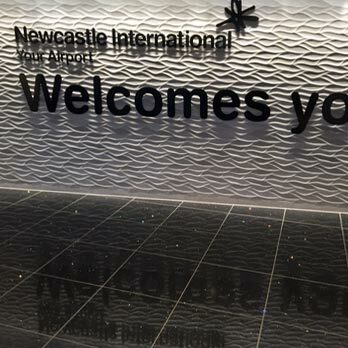 Black is a colour which can be incorporated within a vast array of decors and can be complemented superbly by popular white and cream coverings. 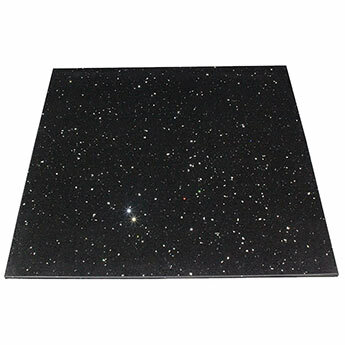 Versatile black quartz is ideal for either a bathroom or kitchen interior. 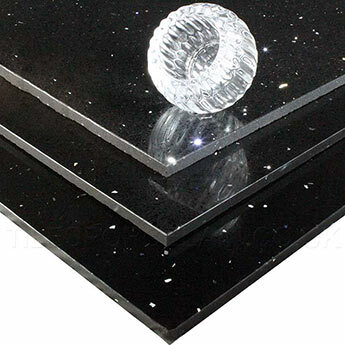 Engineered quartz from Tilesporcelain has a low moisture absorption rate making them suitable for shower areas. 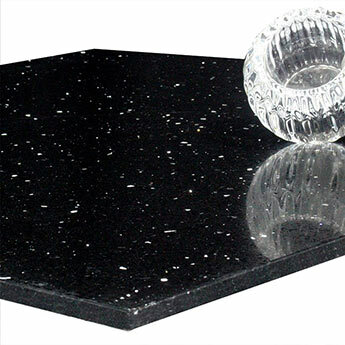 If you choose them for your home you’ll soon discover they are extremely low maintenance. 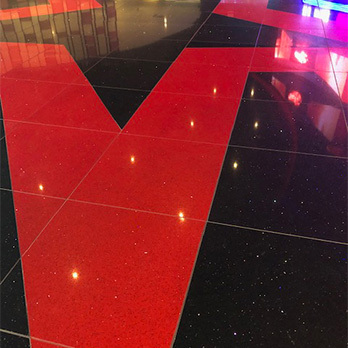 Furthermore, the hard wearing quality ensures they can be installed in high traffic areas, thus explaining why they are regularly chosen for shops and hotels. This is a premium option but don’t just take our word for it, order a sample for a closer look. 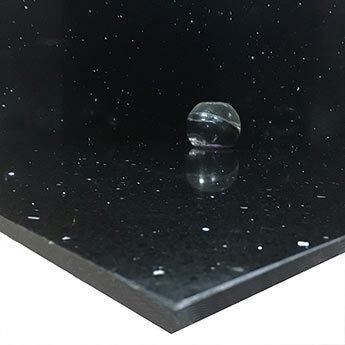 Quartz is resin based and it’s therefore entirely at your own risk should you use them with under floor heating systems or within environments which are exposed to high thermal conditions, including conservatories, sunrooms, near glass patio doors and outdoor areas. 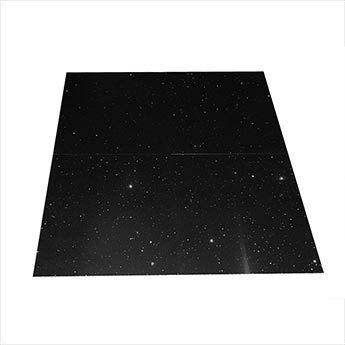 We recommend that latex adhesive is not used for tiling quartz.